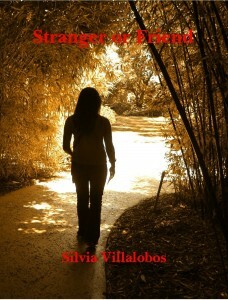 Just out..Suspense Novel..Silvia Villalobos Presents…. L.A. lawyer Zoe Sinclair finds her Wyoming hometown reeling from the murder of a lifelong friend. Not less unnerving are the strange cries coming from the woods. The lawyer inside the woman is prompted into action, but she meets resistance from locals wary of outsiders. When a second body is found, and Zoe is attacked, the case turns personal. Under pressure from the sheriff to leave the probing to the police, and taunted by the killer’s messages, Zoe finds herself trapped in a game of hunter and prey. Inspiration, at times elusive, rushes at us like a storm of jagged images when a story must be told. Such was the case in the writing of this mystery novel — the culmination of two lives at a confluence of cultures: an Eastern European immigrant — the author — married to a California native of Hispanic descent. The result is a highly fictionalized story, an observation, of intersecting cultures, of newcomers and locals, the bumps along the way, discovery, rejection, and acceptance. This is the story of a woman going back home, only to find that home is no longer the place she remembers, or maybe never really knew. Silvia Villalobos, a native of Romania who lives immersed in the laid-back vibe of Southern California, is a writer of mystery novels and short fiction. Her stories have appeared in The Riding Light Review, Pure Slush, and Red Fez, among other publications. She is constantly drawn to premises filled with questions which arouse feelings that are often beyond imagination yet seem real. Her upbringing in Romania, the land of Eminescu and Eliade, may have contributed to such complex imagination and stories filled with peril. When not taking long walks through the local paseos or hiking the Santa Clarita Woodland Park trails, she can be found writing, blogging, or preparing and giving speeches for Toastmasters International.